Welcomes visitors in person or on the phone answering inquiries. • Ensures that there is always someone at the reception at all time. • Maintains security by following procedures; monitoring logbook; issuing visitor badges. • Support for lunch ordering and deliveries during Team meetings/activities. • Responsible to arrange for the Periodic Communication session. • Responsible for travel coordination which include arranging for visa, hotel booking. • Manage, assist, make and confirm reservations of passengers, by selling tickets of the airline. • Serve customers professionally through telephone or in person in order to achieve excellent levels of customer satisfaction, generate revenue, and take all possible measures to avoid loss of revenue. • Assist passengers requiring special assistance to board or depart conveyance. • Initiate and promote the airline products & services, assist in reservation & ticketing for passengers and serve all customers professionally through telephone or in person in order to achieve customer satisfaction. • Deal with customers at the counter, and other related administration duties. • Produce Daily Sales Report and other reports as require by the management. • Supervise and assist the relevant staff for the smooth functioning of office. • Should be a Graduate from a reputed University. • At least 4 years experience in passenger reservations & ticketing in a highly competitive airline. • A full-service airline sales background is desirable. Have to be service oriented with good interpersonal skills. • Good knowledge of Word/Excel and PowerPoint, and airline industry market competition and practices. • Knowledge in IATA standard reservation/ticketing procedures is required with fair knowledge of the world\'s geography. • Excellent communication skills in English, and a strong command of the MS Office will be required. • Only candidates with airline experience will be considered. We are inviting qualified candidates to fill the LIFEGUARD position, 1 Male and 1 female. The Lifeguard will follow all applicable safety procedures to ensure the protection of customers, staff and facilities, and performs tasks assigned relating to the operation and maintenance of the aquatic facility. The successful applicants will be responsible for maintaining order and discipline at the pool and mini water park. They must be team players, possess and demonstrate excellent communication, interpersonal, organization and leadership skills. • preferably Srilankan , Filipinos and European candidates, between 22 to 35 years of age. A hotel apartment in Dubai is looking for a Housekeeping Leader who will lead a team of housekeeping staff. He must have experience in housekeeping tasks in a hotel apartment. Salary will be discussed upon interview. Applicant must be in Dubai. 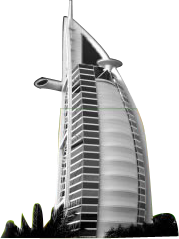 well-known Tourism and Shipping company is looking for a Sales Promoter in U.A.E. We are looking for a person with experience in promoting a company. • Promoting our Service, Since we are from a Tourism And Shipping Company. • Having a sales talk, to attract prospective customer. • Giving brochures, leaflets, and other materials that would be needed to promote the Service of the Company. • Know how to deal with different kind of people.